When you talk about heavy metal bands that have survived three or more decades and continue to ply their trade in the present day, you often come across many of them celebrating landmark anniversaries, whether it be the inception of the band itself, or the release of a marquee album from their discography. The trend is to embark on a world tour to perform a “greatest hits” set, or a particular album in its entirety. While the band succeeds in reaching a larger number of fans in this manner, it could also make the occasion less special. In many cases it is even used as a cop-out by bands running out of ideas to come up with proper tour set lists. Refreshingly, New Jersey thrash metal stalwarts Overkill decided to do this differently, and the result is right in front of us. To celebrate the 30th anniversary of their 1985 debut LP ‘Feel the Fire’, and the 25th anniversary of their ’91 album ‘Horrorscope’, Overkill played a very exclusive and special show at Turbinenhalle 2 in Oberhausen, Germany on April 16 2016, where they performed both albums in their entirety. For their fans in the rest of the world, they filmed and recorded the concert for what is now their third live album, ‘Live in Overhausen’, due for release very soon via Nuclear Blast, on Blu-Ray, DVD, CD and vinyl. 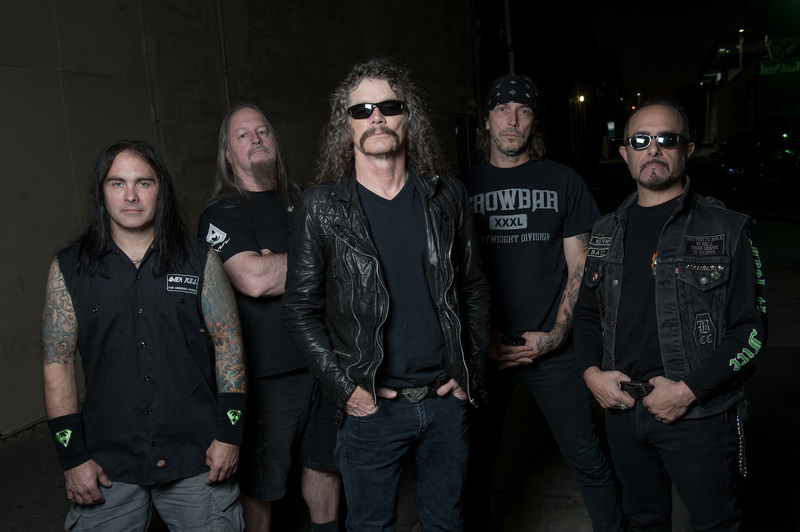 Overkill is by no means a nostalgia band, and is very much relevant in today’s metal world, as proven by their consistently strong studio albums, ‘The Grinding Wheel’ (2017), ‘White Devil Armory’ (2014), ‘The Electric Age’ (2012) and ‘Ironbound’ (2010). But, this release offers a brief throwback to Overkill’s early classic material, performed to absolute perfection by the band’s modern-day incarnation, which is undoubtedly one of the best live metal acts going around today. Instead of an entire tour performing these albums front to back, a norm that has become so typical these days it’s almost no longer exciting, there is just something truly special about doing such an anniversary celebration at only one concert, making it a historic occasion for all in attendance, and giving fans elsewhere a valid reason to own the concert video/audio professionally filmed and released by the band. Anyone who has seen Overkill live in the past few years would already expect the band to sound nothing less than fantastic throughout this concert even before listening/watching, but just in case you haven’t been in touch with how incredibly amazing Overkill has been as a live band in recent times, this live album is a glorious representation of it. Live albums are a seemingly dated concept in this day and age of a cyber world filled to the brim with low-quality personal cellphone recordings, as people are gratified with such bootlegs instead of buying pro-filmed and officially released products, but if stellar live bands like Overkill release albums of the unbeatable quality that their newest release exhibits, perhaps there is hope yet for this endangered species after all. 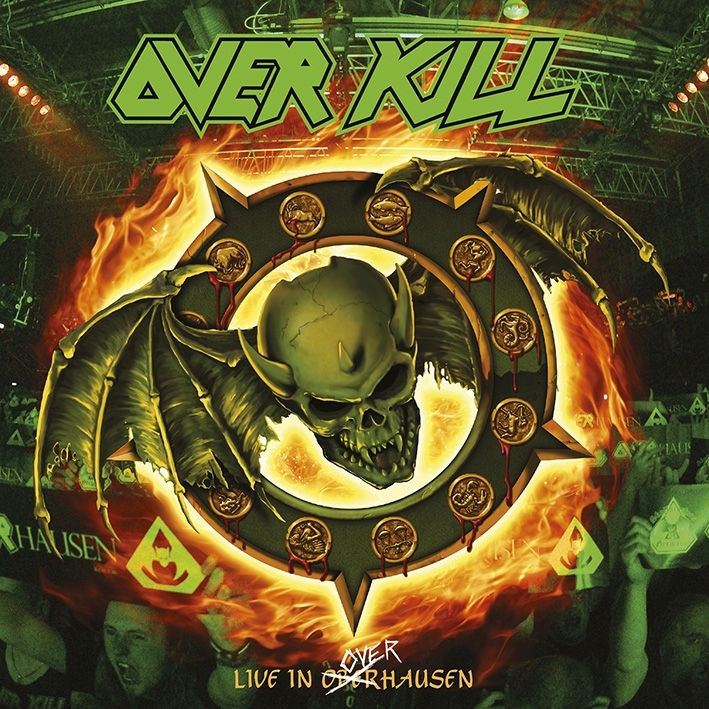 A must-have for all Overkill fans old and new, ‘Live in Overhausen’ is a thoroughly enjoyable and immensely power-packed live album.